Digitizing and managing a whirlwind of documents just got easier. With the most versatile capture solution Kodak has ever built, you’ll be ready for production scanning the day you open the box. 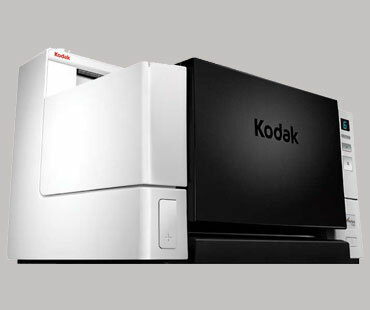 Introducing the all-new Kodak i4000 Series Scanners. We took everything we’ve ever learned about document management and built an entirely original platform to help you control information, automate processes, and take productivity to new heights. Up to 30,000 pages/day; up to 100 ppm @ 200 dpi; 500 sheet feeder, 600 dpi output resolution, TIFF, JPEG, RTF, BMP, PDF, and searchable PDF formats.